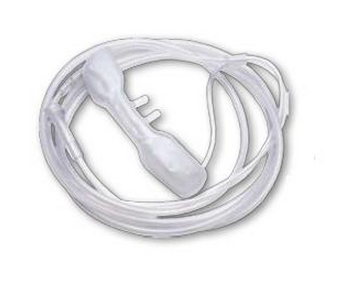 CHAD Oxymizer is a Disposable Oxygen Conserver as part of an Nasal Oxygen Cannula that is available as a Pendant Oxymizer or a Mustache Oxymizer. The Pendant Oxymizer (P-224) can be used with a continuous oxygen flow of up to 15 LPM. This Pendant Oxymizer features a reservoir that can be worn under clothing. 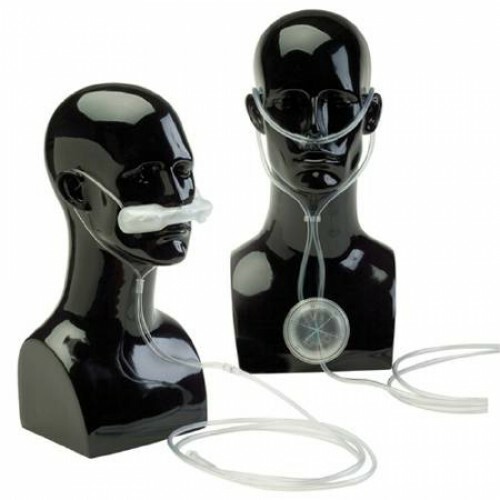 The Mustache Oxymizer (F-224) can be used with a continuous oxygen flow of 20 LPM. The Mustache Oxymizer is a Fluidic Oxymizer. Both CHAD Oxymizers provide continuous high flow Oxygen Therapy for homecare, hospice, clinic, hospital or long term care. The Oxymizers are compatible with oxygen concentrators, compressed oxygen cylinders and liquid oxygen. CHAD Oxymizers can be used with pursed lip breathing. Manufactured by Drive Medical, CHAD Oxymizers deliver an oxygen conserver ratio of 4:1. CHAD Oxymizers may be used during exercise, resting or during sleep. These disposable oxygen conservers offer oxygen therapy patients a comfortable alternative to using an oxygen mask. Oxymizer Conservers can be used while oxygen patients eat, drink or talk. Nasal cannula oxygen conservers for oxygen savings. 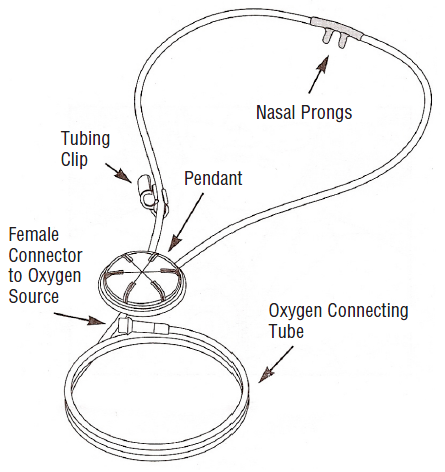 Pendant Oxymizer features a reservoir that can be worn under clothing. Mustache Oxymizer (Fluidic Oxymizer) features a reservoir near delivery point. Provides a conserver ratio of 4:1. Drive Medical CHAD Oxymizer Disposable Oxygen Conserver Product Numbers: F-224, O-224 (replaced by F-224, P-224). Mustache Oxymizer (Fluidic Oxymizer): 20 LPM. Application: Nasal Cannula Oxygen Conserver. CHAD Oxymizer Conserver Brochure features an oxygen savings chart for the disposable oxygen conserver. 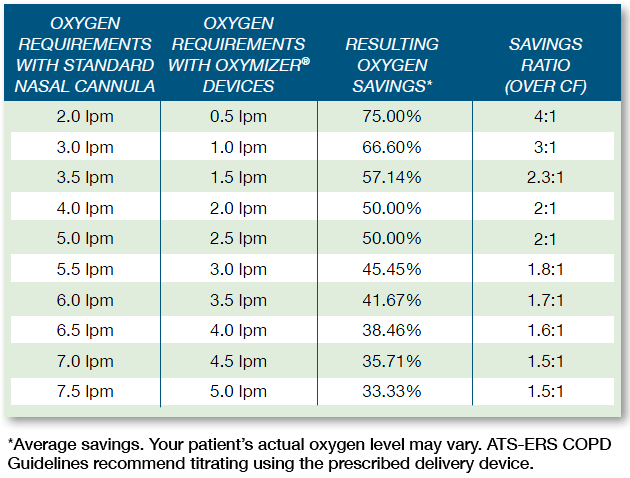 Oxygen Oxymizer features and benefits charts. Oxymizer Reservior Specifications for both the P-224 Pendant Oxymizer and the O-224 Mustache Oxymizer. P-224 Pendant Oxymizer instructions for patient use. O-224 Mustache Oxymizer instructions for patient use. Oxymizer Conserver Information Booklet features oxygen storage reservoir technology. Collard, F.Ph.D. ; Wautelet, J.P.; Delwiche, J.; Prignot, P. Dubois. Improvement of oxygen delivery in severe hypoxemia by a reservior cannula. Eur Respir J. 1989, 2, 778-81. Shehan, J. Christopher; MD, O'Donohue Jr., MD., W.F. Use of Reservoir Nasal Cannula in Hospitalized Patients with Refractory Hypoxemia. CHEST. 1996 Supplement Oct., 110:4. Carter, Ph.D, Rick; Willams, M.S., James S. Evaluation of the Pendant Oxygen-Conserving Nasal Cannula during Exercise. CHEST. 1986, Jun., 89:6, 805-10. My father has a portable oxygen concentrator. It has continuous and pulse options. It can go up to 2L continuous. From what I understand, if he uses the oxymizer on 2 continuous, it should give him the equivalent of 4L continuous. Am I right? If not, how close would he be to this level? I have recently had my oxygen level increased to 8-10. From 6. My airline approved device only goes to 6 pulse. Is it possible to use the oximizer on 6 pulse and maintain an 8 level? It also has a continuous level of 3. We do not employ any medical professionals and therefore cannot answer any specific questions regarding this item. We recommend contacting a medical professional for specific information. Are there any options for the tubing that fits in the actual nares? The plastic is very hard and painful on the nose. I received the item in good shape and a timely fashion. I will order from you again. This was introduced to me by respiratory therapist in hospital. It works quite well. The tubing is over large, making it difficult to keep everything in place especially when you wear glasses and hearing aids. The pendent conserver is a little easier to live with than having a conserver hanging over your lip. I understand though that the mustache conserver is more efficient.